This is a round 4 Square Dealer porcelain sign. This particular 4 Square Dealer sign is yellow and red. 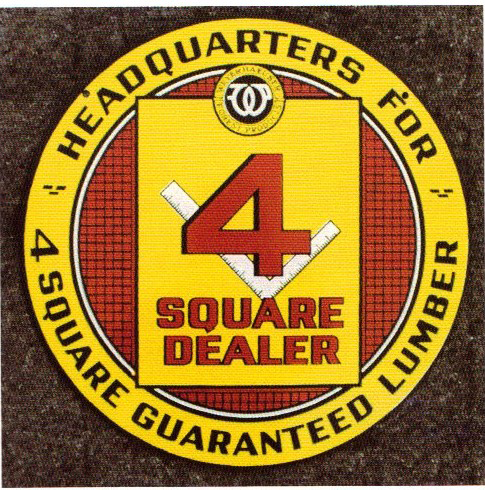 It reads, ” Headquarters for 4 Square Guaranteed Lumber, 4 Square Dealer” and features a graph design background with a right angle ruler in the center.